When I became Rector of Saint Mark’s, I will confess to you that my head swelled – just a little. My mother would tell you that I could ill afford such an expansion. Nevertheless, I had been entrusted with the job of leadership – shared by only 13 other men over the last 160 years – of a great and historic parish. This building, its history, ministry, and leaders have been known over the decades as exceptional in many ways. And if Saint Mark’s, Locust Street would be remembered for nothing else by visitors and those beyond the parish, there is the matter of a shining silver altar in the Lady Chapel to catch the outsider’s imagination. You can imagine, therefore, that I was somewhat deflated not long ago to meet the rector of a very large, well-known parish on the west coast. A parish that has not the historical significance, tradition, or architecture to shine a candle in the presence of Saint Mark’s. A church without any silver altars at all. When I met this colleague in ministry whose church has been known to me for many years, he asked where I was from. “Saint Mark’s, in Philadelphia,” I said, looking to see a hint of wistful envy on his face. Well, I mean… How could he know nothing of our architectural pedigree, or that the fourth rector of this parish was one of the greatest churchmen of the 19th century, or the story of ministry and worship that this place has stood for since before his church was even built? And if all else failed, how could he not know about our silver altar?!? Pride goeth before the fall, as the Good Book more or less says. 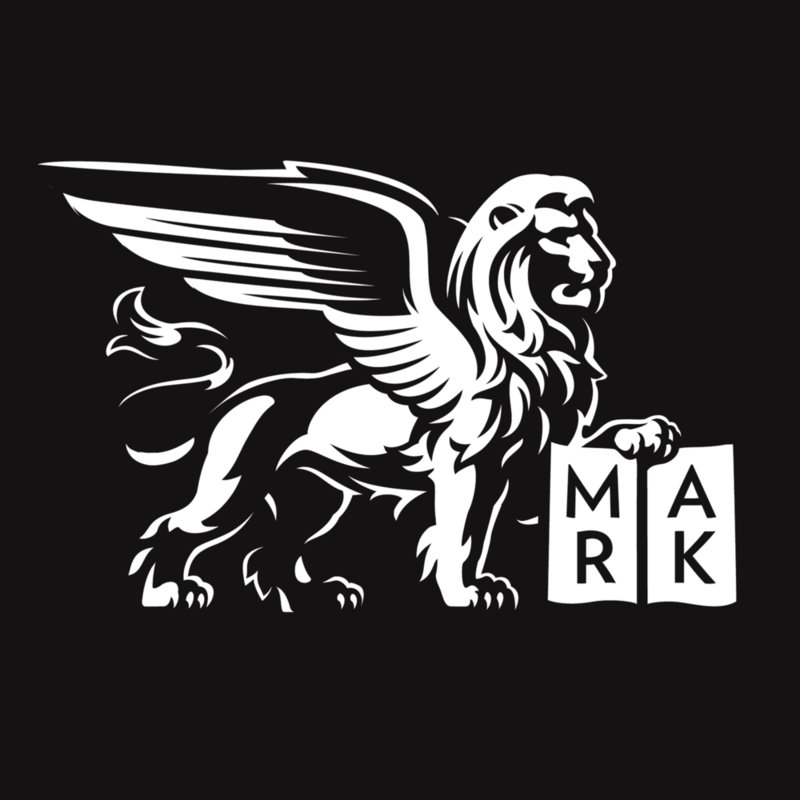 The 21st century is not proving to be a heyday, so far, for the Episcopal Church in general, so I suppose we should not feel too bad if we cannot yet claim it as a heyday for Saint Mark’s. There was a time when our pews had more people of greater renown in them, when children were more a part of the life of this place. There was a time when rich benefactors lavished this place with gifts and memorials that lesser parishes could never dream of. There was a time, under the leadership of the great Eugene Augustus Hoffman, the fourth rector of this parish (who was himself a very rich man), that the ministries of this parish were a model of outreach to the city and those in need. There was a time when any rector of a west coast parish might have looked east with sighs of envy at Saint Mark’s. These days most Episcopal churches are sighing for days gone by when the pews were full, the work was easier, and the church was strong. In this context, it is extraordinary to reflect that a week ago today we were wrapping up, at our mission parish of Saint James the Less, a nine day urban mission project that was an exercise in building community. 30 high school students from around this diocese and beyond, and 8 – 10 adults slept in tents on the grass behind the parish hall. These kids went out into the neighborhood where they cleared overgrown vacant lots, planted flowers, and put up swings and benches. They helped with the renovation of one of the buildings on the church property. And most significantly, they organized a week of Vacation Bible School for the neighborhood that attracted as many as 65 kids at its peak, bringing a measure of life to the church grounds and to the neighborhood that was greatly needed by both. By my count, more than forty people from Saint Mark’s took part in City Camp 2009 in one way or another: whether in helping to prepare the buildings for the camp, or baking, or manning the grill or the nurse’s station, or leading Vacation Bible School, or organizing the clean-up of a vacant lot, or cleaning bathrooms, or serving meals, or a host of other ways. City Camp will prove to have been, I am certain, one of the most remarkable mission projects carried out in our diocese all year, and perhaps for many years. It was the type of project that you would expect to be led by a parish or a diocese in its heyday – by institutions with muscle and money to flex. Today we heard one of the most perplexing passages of the New Testament, when Saint Paul is writing to the church in Corinth about someone being “caught up in the third heaven.” Scholars believe that he is probably writing about himself, though the reference to the third heaven is obscure and no one has ever figured out what the thorn in Paul's flesh is (“to keep me from being too elated”). Then Saint Paul writes about something most of us can relate to. Three times he appeals to the Lord. Three bouts of prayer on his knees, we can imagine, of lighting candles, three sleepless nights, perhaps of clutching his rosary (if only he’d had a rosary!). Three tearful pleas to be relieved - does it matter from what? We are meant to understand, I think, that his prayers, at first, go un-answered, his frustration and misery and perhaps despair begin to mount, that despite his religious pedigree, his Roman citizenship, his formidable mind and boundless energy, the saint is confounded and fears, perhaps that he will be undone. Have you ever felt this way? I have. Now, my brothers and sisters, perhaps we should lock the door. For here is a great secret of the church that Saint Paul learned and shares with us. When the heyday is past, and we are feeble, unprepared and ill-equipped, hope is not lost. Christ’s grace is sufficient for you, power is made perfect in weakness. You will not find this advice in The Art of War, or being taught at the Wharton School. Although you may hear it laughed at here and there. Christ’s grace is sufficient for you; for power is made perfect in weakness. See the power of eternal life, hanging on the Cross, being perfected in weakness. The 21st century has been no heyday for the Episcopal Church, for the Diocese of Pennsylvania, or for Saint Mark’s, so far. What can institutions like these do to advance the kingdom of God? How are we to accomplish great things with so much less than we once had, than we should have, so much less than bigger, richer churches have? And why did Jesus send his apostles out with so little to do his work – no bread, no bag, no money? Nothing except one another and his authority? Throughout the church, and certainly here at Saint Mark’s, we know, like Saint Paul, what it is like to be in control, in power, to have many resources and much at our disposal. We know what a heyday feels like. And it is tempting to conclude that the church’s ability to minister has been irreparably hobbled, our mission diminished because the heyday is so clearly over. But a voice comes to us, known to us from our prayers and our time gathered at this altar: My grace is sufficient for you. My grace is sufficient for you. The Episcopal Church is not the place it once was. The Diocese of Pennsylvania is not the place it once was. Saint Mark’s is not the place it once was. Are we all weaker? I suppose we are. But is not Christ’s grace still sufficient for us? City Camp was a sign – of which more than forty of you were a marvelous part – a sign of the power of Christ’s grace working through our weakness. It was an important sign, because Jesus is not waiting for us to become strong by the world’s standards to do his work. His business plan does not look like any other. He sends us out deliberately with no bread, no bag, no money! Why? Because his grace is sufficient for you and for me! And by his grace is everything supplied. What kind of parish is this? (The question still rings in my ears.) You might be asked that some day by someone from the west who knows nothing of silver altars. Would it occur to you that this is a parish that is reviving ministry in a church by a graveyard, where just a little more than a week ago almost a hundred young people buzzed around like bees pollinating every inch of the place with new life? If that’s what comes of our weakness, then I am inclined to trust our Lord who sends us with no bread, no bag, and no money to do this work. Because his grace is sufficient. His grace is sufficient. Posted on July 5, 2009 by Sean Mullen.